The call center can be a great resource for getting questions answered, but it’s typically not the most enjoyable experience. This is especially true because of the many different channels that give customers instant gratification – thus increasing the expectations for customer service. But that doesn’t mean the phone channel isn’t still a popular medium. The truth is, phone calls are essential to customer service. In fact, 37% would choose phone conversations with a live agent over any other channel if they want to get a problem solved quickly, if they want to communicate with a real person, or if they believe it’s the best way to receive the correct information. So with that in mind, contact centers need to ensure that the calling experience is just as pleasant as every other channel. Here’s why people just hate calling a contact center. The issue with phone menus is that people hate talking to an automated system. Callers want to speak to an agent, not an annoying phone menu. 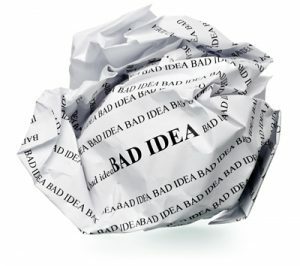 Lengthy prompts are hard to follow, let alone navigate. 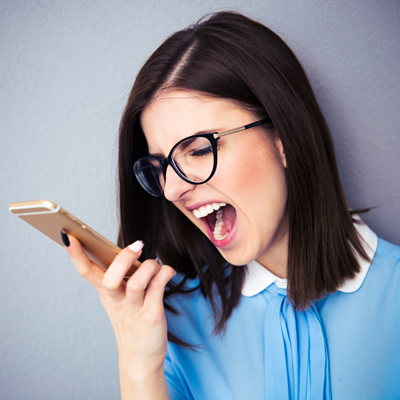 A poorly designed phone menu can drive customers to be extremely hostile by the time they reach an agent, frustrated enough to repeatedly press ’0′, or irritated to the point of hanging up, then flocking to social media to publicly complain. This happens sometimes; maybe the customer landed in the wrong queue and someone in the cell phone department simply can’t answer a question relating to cable – we can appreciate that. However, if you are in the right department, and you’ve described your situation, but the agent is helpless, and lacks the authority to properly help, then it just feels like you’re on a never ending merry-go-round. Being passed from agent to agent, and adding fuel to their already pent up frustration, will drive customers away from calling. This is a simple fix. If the IVR takes information from callers, like their client ID number or something of that sort, make sure it’s passed along to the agent. The technology is there to fix this problem! The other angle to this problem is when you experience issue #2 and you have to repeat your entire story to the next agent. Simply let your agents store customer information to make this process easier on everyone! Is your contact center still forcing callers to wait on hold? If so, you are missing out on a great opportunity to increase customer satisfaction and improve brand perception. Making customers wait on hold not only leaves them angry, it also encourages them to vent their displeasure publicly. Don’t believe me? Go to onholdwith.com and check out the feed of complaint-tweets. If your company has long wait times, the simple answer is a call-back solution. Luckily it’s never been easier to add call-backs to your call center, and there’s a real return on your investment! 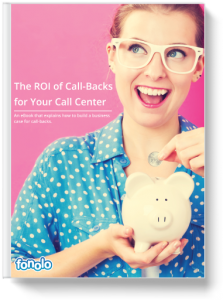 Click here to understand the ROI of call-backs. For the love of God, please stop playing irritating hold music. If callers have to spend another minute listening to Adele scream her heart out about bad break-ups they might just scream. Again, this is an easy fix. Let customers choose the genre of music and make one of those options “no music at all”. If they choose to have no music, make sure you still remind them that they’re on hold as they wait. As much as people hate hold music, it still acts as a reassurance that the call is still in queue. This fear is real. You’ve gone through all of the above points of misery, the annoying phone menu, the long wait time combined with terrible hold music, the repeating of information, and being passed around from one agent to the next – all to be hung up on 🙁 Ouch! This happens all the time and the problem is most agents don’t have the authority to make an outbound call. So the end result is, well you have to go through all that fun stuff once again. To fix this, simply give agents the authority to make an outbound call. You can tell the CSR to ask for a contact number at the start of the conversation in case the call is disconnected. Calling customer service can feel like navigating an obstacle course, but there are easy ways to fix this. Put the right measures in place so that your phone channel can be just as enjoyable as your digital mediums!